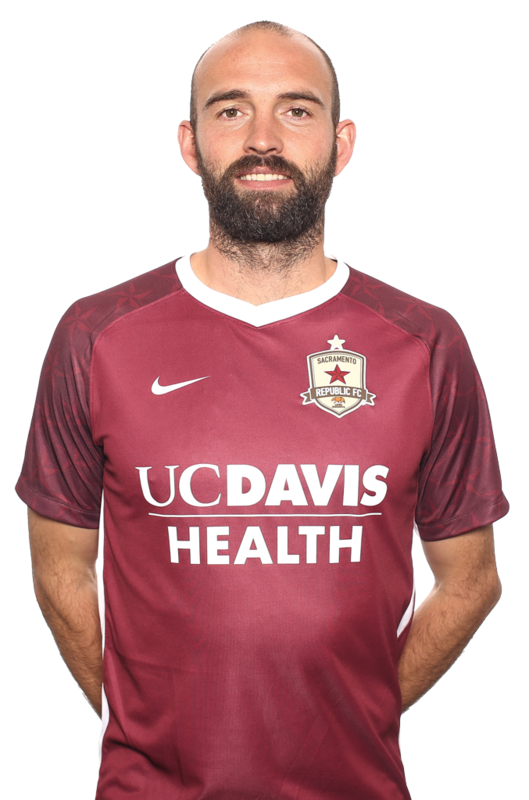 2017: Made seven appearances for Republic FC in all competitions, including six USL appearances ... Battled a groin injury most of the season, limiting minutes. 2016: Appeared in 22 matches for the Cosmos, starting 15 matches ... Scored eight goals, second-most on the club, and added an assist ... Helped the Cosmos win their second consecutive Soccer Bowl. 2015: Signed with the New York Cosmos as a free agent ... Made 20 appearances, starting 12 matches, for the Cosmos ... Scored two goals ... Helped the Cosmos win their second Soccer Bowl in three seasons. 2014: Appeared in 20 matches for FC Dallas, starting 13. 2013: Made 26 appearances, including 24 starts, in his third season with Houston ... Scored three goals and added assist ... Was traded to Seattle Sounders FC on Sept. 13 ... Made six appearances for the Sounders, including four starts ... Started all three playoff matches for Seattle ... Was traded to FC Dallas on Dec. 13. 2012: Appeared in 23 matches for the Dynamo, including 22 starts ... Scored two goals while recording a career-high three assists ... Started all six of Houston's playoff matches, scoring a goal and adding an assist ... Assisted Calen Carr's goal in the MLS Cup, lofting the ball over the LA Galaxy defense. 2010: Made 24 appearances, including 23 starts, in his fourth season with the Crew ... Scored two goals and added an assist in 1,951 MLS minutes. 2009: Appeared in 12 matches, making six starts for Columbus ... Scored a goal ... Was named the Columbus Crew Comeback Player of the Year. 2008: Made seven appearances for the Crew, including six starts ... Scored two goals ... Missed most of the season after suffering a season-ending ACL tear on 6/16 ... Was a member of the Crew's MLS Cup championship roster but was not featured in the playoffs due to injury. 2007: Moved to the United States and the Cleveland City Stars, a USL second-division club ... Made 19 appearances for the City Stars and lead the club and league in scoring with eight goals and added two assists ... Was named to the USL-2 All-League First Team ... Signed a contract with the Columbus Crew following the USL-2 season ... Made a single appearance for the Crew in 2007, a start. 2006: Moved to Elgin City FC of the Scottish Third Division ... Made 29 appearances for Elgin City in all competitions, scoring seven goals. 2005: Began his professional career with Ross County FC of the Scottish Second Division. Born Adam John William Moffat ... Wife, Jennifer, is the sister of San Jose Earthquakes forward Steven Lenhart ... Enjoys playing video games, as well as reading ... Growing up, was fluent in Welsh.